Between the culture, the history, and the beautiful scenery, it’s no wonder that Kansas City, MO is very popular. We recommend you book your RV rental in Kansas city and take advantage of our rates in that area. Whether you’ve been dreaming of seeing the Liberty Memorial or visiting the Kauffman Stadium, it’s understandable that you’re excited to get on the road. Planning a trip can often be difficult, though, and many travelers find themselves compromising the attractions they want to see in favor of coordinating expensive hotel rentals and spending money on other related travel costs. Fortunately, there’s a way to make planning your trip easier and less expensive without sacrificing all of the exciting attractions you want to see. The answer is an RV in rental Kansas City. At Campanda, we offer a selection of 25,000 motorhomes and our friendly support staff will do everything possible to support you in the planning and execution of your trip, so you can get on the road sooner and enjoy your trip more. Contact us to learn more about RV rentals in Kansas City today! Campanda’s Outstanding Service – top quality RV rentals. If you’ve ever traveled before, you know that planning a trip to Kansas City can be a complex experience. It can be tough to take an enjoyable road trip in the family car due to space constraints that make it nearly impossible to pack adequately. If you have more than two people going on a trip, it’s difficult for everyone to bring all of their luggage in a domestic car and, often, things wind up getting damaged in the process of packing. Additionally, traveling in a car means that you’re doomed to spending uncomfortable nights sleeping in the driver’s seat at rest stops or renting expensive hotels along the way. So what’s the solution? 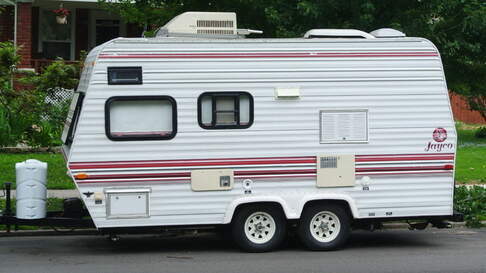 The answer is to rent a motorhome in Kansas City. If you’re planning a road trip, an RV rental in Kansas City is the easiest way to ensure you see everything you want to see without sacrificing your budget or comfort. Since a campervan offers ample space, all of your guests can pack everything they need for the trip and still be comfortable. Additionally, an RV offers amenities like air conditioned cabs, plenty of sleeping room, and satellite navigation, so you can get to where you’re going in comfort and style. 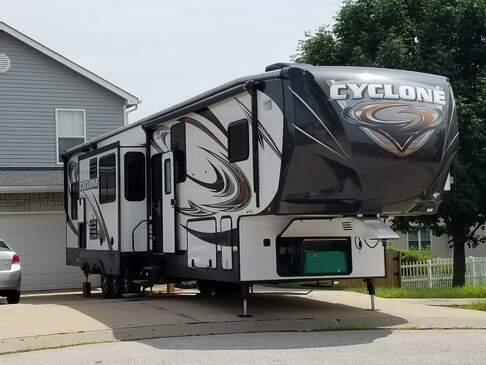 Regardless of whether you’re traveling with two people or twelve, we carry thousands of first-rate RV rentals Kansas city that are perfectly equipped to suit your needs and make your trip more comfortable and enjoyable that you could have ever imagined. Never rented an RV rental in Kansas city before? No problem. At Campanda, our qualified support staff will help you sift through our selection to ensure that you find the perfect make and model for your needs and your budget. Choose an RV based on price, style, sleeping space, or features, and we’ll help you find the perfect match. Our first-class customer service sets us apart from other RV rental agencies and we’re excited to help you. Information on makes and models. With 25,000 RVs to choose from, it can be difficult to make a rental decision. This is why our support staff is here to provide you with detailed information about all of the makes and models we carry, from sleeping space to technical details. No matter how many questions you have, we’re here to answer them. Customer reviews. We know that you want to choose the RV rental for you, so our support staff will gladly supply you with information about which of our models are valued by our customers. Customer feedback is a reliable source of information that can help you make a great rental decision, so simply ask our support staff for customer reviews for the RV rentals in Kansas city you prefer. Support in staying on-budget. We respect customers who want to stay on-budget during their travel, which is why we will sift through our assortment of RVs to find you the perfect option that fits your needs and your budget. When you work with us, you don’t have to worry about pushy sales people or high prices – we’ll simply help you find the RV you need every time. Scheduling support. With 816 pick-up locations in 32 countries, it’s obvious that Campanda is committed to meeting you wherever you are not just in Kansas. When you work with us, our support staff will help you coordinate your RV pick up with your arrival at the airport to ensure that your entire trip gets off on a great foot. Missing your RV pick up can cause you to miss important aspects of your trip, which is why we do everything in our power to ensure that your trip flows smoothly from beginning to end. While many people fantasize about purchasing one, there are several distinct benefits to renting. For one thing, RV rentals in the Kansas City area save you the maintenance and service expenses associated with owning the vehicle. Because Campanda does all needed maintenance on our RVs before they leave the lot, you can drive down the road without worrying about whether or not the oil has been changed recently. Additionally, Campanda’s wide selection means that you can always get the perfect RV for your trip, without the financial commitment of purchasing it. Securing an RV rental Kansas City, MO allows you to have the best possible trip without the stressors associated with traveling in the family car. You can also check out our RVs in Wichita, Omaha and Oklahoma City.